From the TMO Department of Heresy comes this thought. Apple is no longer in a pitched PC war. Instead, upwards of 65 percent of Apple's total revenue comes from iPhones. On the other hand, Apple wouldn't mind selling more Macs. So why not pour on the coals and provide Windows 10 on selected Macs, pre-installed? It would eliminate headaches for many education and business customers who really want Mac hardware, and it could really boost Mac sales. First of all, during each Apple earnings report, Tim Cook notes the fact that PC sales are in decline and Mac sales are steadily improving. This has been the case for over two dozen consecutive quarters. Mr. Cook is proud to announce that. A new future with an old enemy. Second, many schools find it expensive and awkward to buy a virtual machine system and then install Windows on a Mac. Or use Boot Camp and pay extra for copies of Windows. Some colleges, unable by policy, to charge students for required software, would direct their students to this out-of-the box solution in the campus bookstore. In addition, Business people are perpetually appalled by the build quality of many PC notebooks pre-installed with Windows. Plus, there's something to be said for the halo effect in owning a MacBook to run Windows. Just a thought. Apple's aging MacBook Air, ready for a price cut and full of PC-friendly ports, would be a great machine for a test program. When customers go into an Apple store, they'll see a great MacBook Air. Show it running OS X, to be sure. Then show it running Windows side by side with OS X. Their minds (as well as their spouse's) will go "Bingo!" Third, thanks to the shift to mobile solutions, the PC wars are basically over. 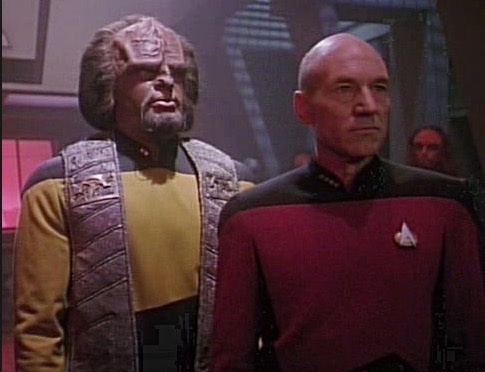 It's time to stop thinking like Captain Kirk, who can't ever get over his disgust for the Klingons and be more like Captain Picard who has a Klingon security officer on his bridge. Finally, the ever more astute Microsoft, under CEO Satya Nadella, has cleverly decided to provide Ubuntu Linux compatibility (binaries and shells) in Windows 10. See, for example: "Ubuntu’s bash and Linux command line coming to Windows 10." This is an amazing, bold, smart move. If Microsoft can think like this, so can Apple. Pre-installed, out of the box. Would be cool. There would be several obstacles, but they could be overcome. First, a dual boot with Boot Camp would be unsatisfying. The real leverage for the user would come from being able to click on Windows apps in the OS X Dock, and just run them. That requires a virtual machine system also installed. Second, in order to make this happen, Apple would have to strike a deal for a quantity license and then, contractually, make sure there were no changes to either the VM system (or OS X) that would adversely affect the customers down the road. A plan to switch to ARM processors in MacBooks might put an end to this line of thinking, but we aren't sure about Apple's intentions here. 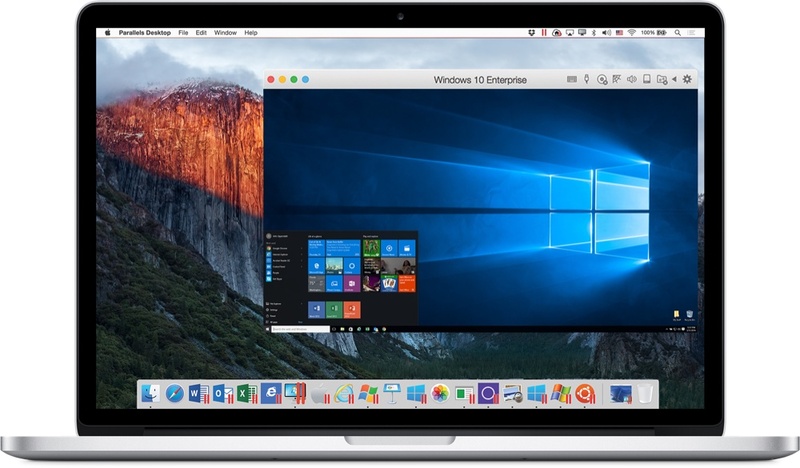 Third, Microsoft has always been happy to work with Parallels and VMware to make sure Mac users can run Windows. But the customer has to pay up. Would Microsoft be willing to drop its OEM price for Windows 10 far enough? Apple wouldn't want to charge too much of a premium. Would both companies see a mutual benefit? No corporate technological agenda or warfare lasts forever. Times change. New opportunities arise. Schools and businesses (and maybe even the government) would very much like the convenience of having high quality, long lasting Mac hardware and a functioning "Two OS" system out of the box. ("Three OS" when Ubuntu is added.) Even as Apple is making hundreds of billons of dollars with iPhones, it might be possible to unexpectedly steal some additional PC hardware market share from competitors. Personally, I like the idea. What do you think, all you Jean-Luc Picard fans?